Telecel’s Facebook Zero has been officially launched today giving its subscribers zero rated access to the social network. We have highlighted some details we managed to obtain from Telecel regarding the new service. Any prepaid subscriber with a data enabled handset can use the service even without any airtime. There are no charges for any text but images, video and third party sites will attract a charge. This will be 11 cents per megabyte or at the data bundle rate for subscribers who subscribe to data bundles. There will be a warning message before a subscriber accesses content that is not free. This service is accessible through three addresses, namely zero.facebook.com, 0.facebook.com or o.facebook.com. Default browsers and Opera Mini support the service. Facebook Zero is not supported on other browsers or devices that proxy traffic, including Blackberry and Nokia Ovi browsers. The option would be to download a browser like Opera Mini. Subscribers using Facebook Zero can send and receive chat messages, browse newsfeeds and view timelines without images and videos. Posting comments, updating statuses, likes, pokes and the messages, feature will all be free. 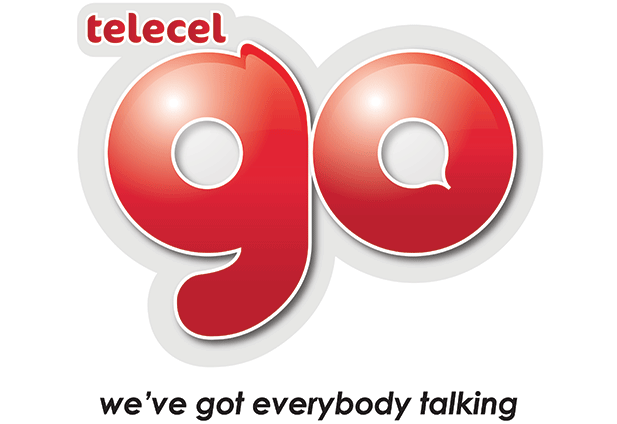 According to an official statement from Telecel they are set to introduce more products that add value to the subscriber. The fact is its free! So even if you run out of data bundles or even your balance you can still use Facebook. I am using it now. Try it. i agree with Anonymous, you are able to view photo when u click the photo box! go ahead and tell someone!! The essence of social media is to share moments and be able to re-live them through Video and Image shares. These have been the key drivers of Facebook. A close look at the Telecel Zimbabwe (https://www.facebook.com/zim.telecel) page shows that more than 80% of their posts are in the form of Images. Surely how do they expect their multitude of followers (223,978 likes) to get a grip of these posts. In my 2 sense, this is a hurried product. U do know that you still get charged for images right? Even the little thumbnails of your friends, kana logo ye facebook yacho – and at 11cents per MB, that’s actually HIGHER than the standard out of bundle data price. Lets not forget that Facebook is a social networking site were i can chat with my friends with text only and share all thats going on in my life. If i can do so absolutely free of cost i would go for it. Its a very good product. Communication on the go. I do not need to use texts for 9cents per text or whats app that will charge me for data. I can simply text without paying. Way to provide communication solutions to people. Kudos to Telecel for being customer centric. If you have ever restricted your mobile browser from loading images, you would know that there really is nothing to be making noise about here……. data charges for text only are very insignificant… thanks but no thanks Telecel.. Personally, I use Facebook to check on who just got married, who’s getting fat, and if there’s anyone with a cat cuter than mine. And liking stuff. Telecel for ever. Well done guys. Unfortunately for Telecel,it seems you are a reactionary team,whereby you only react when Econet has done something better.This company is run by politicians ndosaka vasati vabhadhara licence fee, i would rather stick to my Econet at least i know they are ethical!Vana Jane Mutasa airtime scandal nxaa, yakasara network yenyu!!!!! Telecel has always been known to provide good value for money and for their inclusive approach to get most people to enjoy mobile services. I respect them for that. For those with too much money and less rational sense, please leave us alone to enjoy this service and go get fleeced elsewhere! While you are being fleeced, please do not cause noise pollution with your whinging. Period. And here you have it, when something is free, people find something or everything that is wrong with it. If I were Telecel I’d introduce whatsapp zero (and then charge for picture downloads and video downloads). After all, whatsapp is mostly text…kkkkkkk…..That is a better product than this facebook without pictures. Morale of it all: Telecel is pathetic. I strongly believe that anything good comes at a cost. Charity is for the under privileged. Until the day I fit in that category, I’m for products that support common sense. In order to get “QUALITY” service, there has to be a sort of payment for it, or else it won’t last long. And so we’ll see how this Telecel frenzy will last. Mark my words. As for those Telecel fanatics out there, you need Makandiwa. Apa kana Magaya haanga zvigone. #Long live the 9million subscriber strong Econet. Ndokuti SP ka uku. #Inspired to change your world. And they’re living up to that promise. Uchanzwa Telecel yakuti yaane Car Tracking service as well, mira uone. Ndopaunonzwa yakuti futi yaane bank pasi pemusasa. Wozonzwazve yakuti Telecash ZimSwitch yavo yakutenga abroad. Wozonzwazve yakuti u can withdraw ur Telecash money paATM. Wozonzwazve yakuti yakutengesa maphone ane airtime and data at $15 per month. Wozonzwazve futi yakuti kana roora yakubhadharwa neTelecash…wotoona kuti mupfungwa ndomarasika. #isu tinenge takangotarisa tichiti go Econet, makazviita kudhara izvi. Hameno vanomirira kufungirwa nevamwe!